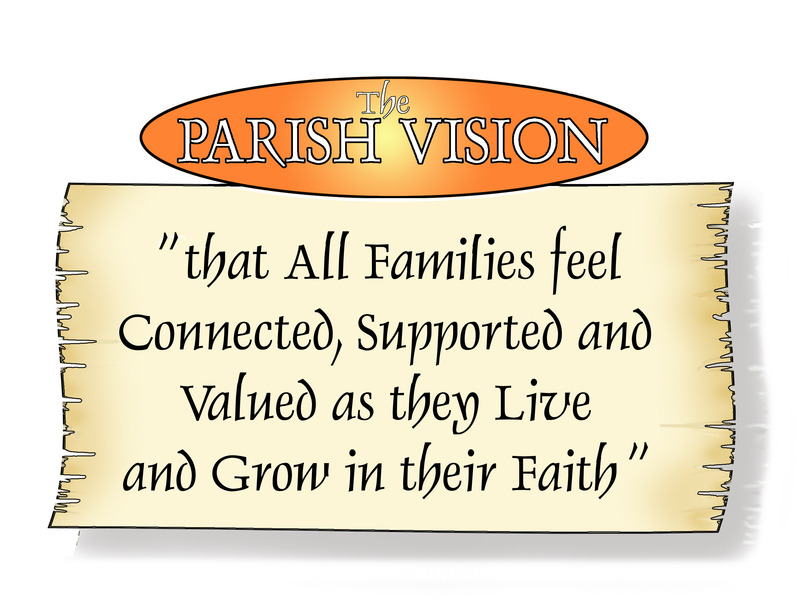 Recently, the pastoral council facilitated a parish forum that was focused on our parish vision that all families feel supported, connected and valued as they live and grow in their faith. At that forum, some people recalled the practice of a former parish priest, Fr Laurie, who encouraged us to greet each other once we had gathered for Mass. I have written here previously about the timing and meaning of the Rite of Peace at Mass, and about hospitality at Mass. What the reflections of those who were present raised, however, was the obvious need for hospitality as part of our liturgical ministry to each other, and as a part of extending welcome and support to those who, for whatever reason, find themselves at our church even though they are not a regular participant in our celebrations. 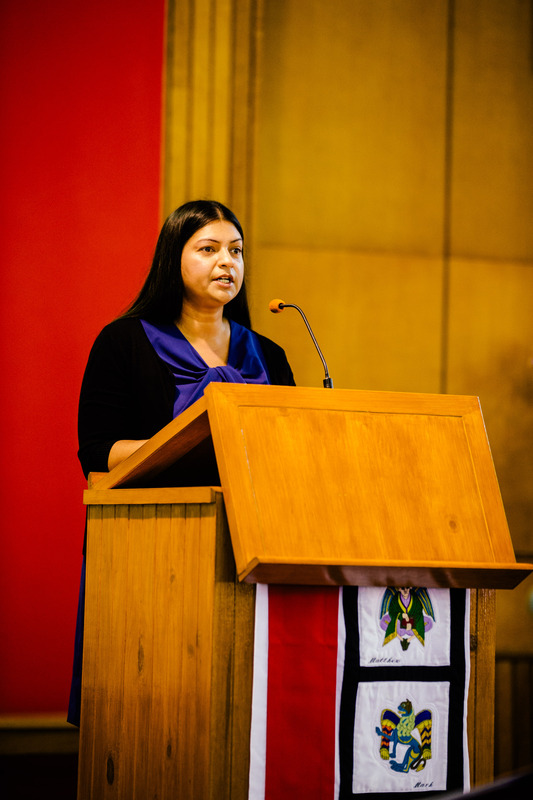 One of the strategies that the pastoral council has identified from the feedback given at the forum is to extend welcome to new parishioners and to all who come to worship. Over the coming months, the Liturgy Committee will begin to look at this in greater depth, examining what genuine welcome and hospitality look like in the context of the liturgy and ministry, and what steps we can take to strengthen this aspect of our parish life. Of course, however, that doesn’t leave everyone else off the hook! The vision is not the pastoral council vision, or the liturgy committee vision, but the parish vision. It is still up to every one of us to work together to make people feel like they can truly belong to our faith community. There’s a hardware retailer that has large, green stores all over the country that clearly trains its staff to do a very simple task. Almost every time you pass an employee in the store, they make a point of saying hello. The whole point of this is that people feel welcome. If they feel welcome, then they’re more likely to return. That’s why many churches and parish communities have turned their attention to the hospitality they provide when people come to worship. We certainly do our part; there may be people at the door handing out the Carmel and saying hello. There may be tea and coffee available after Mass in the parish centre. Yet this is only one part of the hospitality we need to provide. The manner by which the priest leads the community in prayer, the way the Ministers of the Word prepare their readings and proclaim them well, and the way musicians support the assembly in the singing of acclamations and hymns are just some ways our liturgical ministers provide hospitality to those who gather to pray. Yet we are all called to show hospitality to others. It can be as simple as moving a little further down the pew to let someone else take a seat. It’s the warm smile that comes with the words “Peace be with you” at the sign of peace. If a visitor has a question, can we answer it, or direct them to someone who can help them? Making sure that the church is clean also helps contribute to hospitality. Hospitality, therefore, is everyone’s business. It’s not just a job a few people volunteer to do, but something that is part of the culture of vibrant, welcoming parishes. 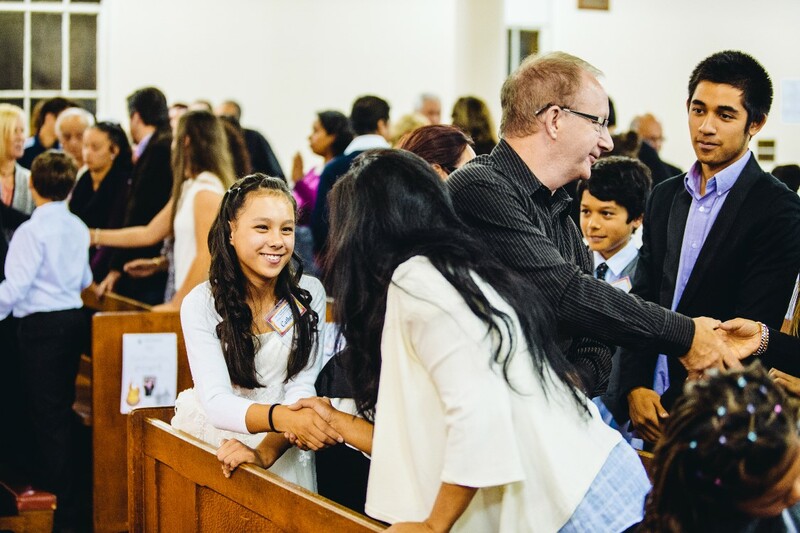 Not only does it encourage people to participate fully, consciously and actively in the liturgy, but it’s also crucial to us achieving our vision to help families feel connected, supported and valued.